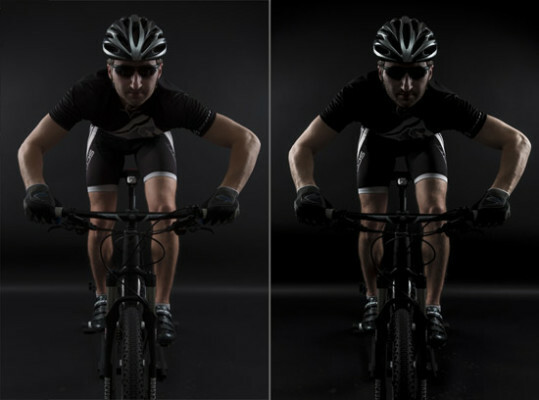 It was a 3 light setup: I used two Yongnuno 560 flashes with umberellas on the side and slightly back to get this rim light. And I used one Yongnuno 568II flash with 42cm beautydish in front and above the object to get this cool lightning on his helmet. First step I did after imported this picture in LR5 I cropped it so I was confortable to edit it and there were as less obstructive elements in the shot as possible. Second step I lower exposure, pulled up clarity and desaturate it a little bit. Next step I Sharpened the image and put the Masking on sharpness by pressing Alt key so that the sharpening was effecting just little of my object. And also checked Remove Chromatic Aberration box ( I used to to that to all my images) I didn’t checked Enable profile correction because it would took of a vignetting an make picture brighter. After those steps I just played with Highlight, shadow, white, black and contrast sliders. My aim was to make it a little bit contrasty and darker. And that was basically all I did in LR5. In reality I experimented with settings, and those were the settings with what I came accross in the end. 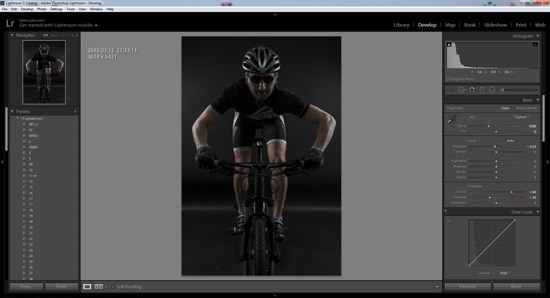 After I did my basic adjustmets in LR5 I opened the image in CS6. Next thing I needed to do is make a cut out of my object ( so I can add spot light and some texture on the background behind my object). As you see the image pretty dark and in some areas there’s hard to see where to make cut out. 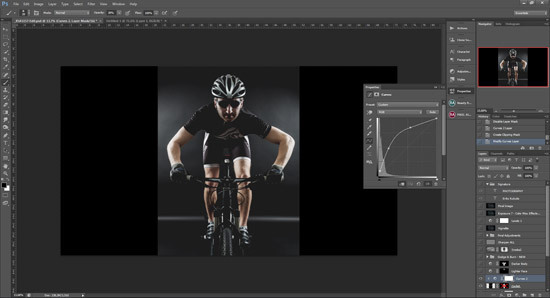 So I made Curves adjustment layer above my cyclist layer and made a cliping mask so that the adjustments I made to the curves layer were affected only on cyclist layer. 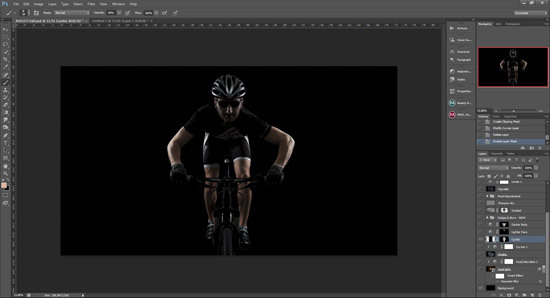 To make clipping mask just click on curves layer, hold down the Alt key and click between Cyclist and Curves layer. 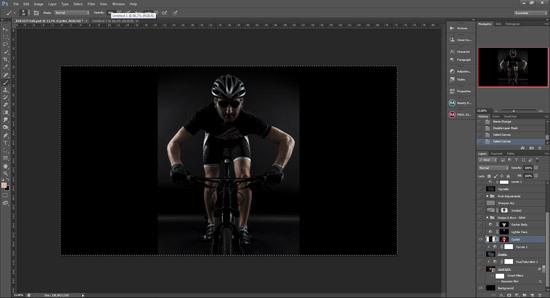 After that just make your image brighter by adjusting Curves layer so you could make better cut out. As that is done you can start to make cut out. There a lot of ways how to do it. I used pencil tool and paint brush. Just try to make good, clear cut out. And after you have done it you can delete curves adjutment layer. In the end it should look something like that. 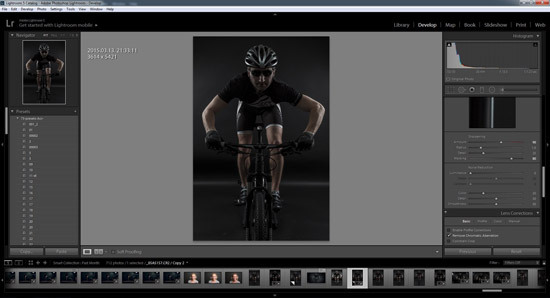 Next thing is to add spot light behind the subject and add some texture to it. 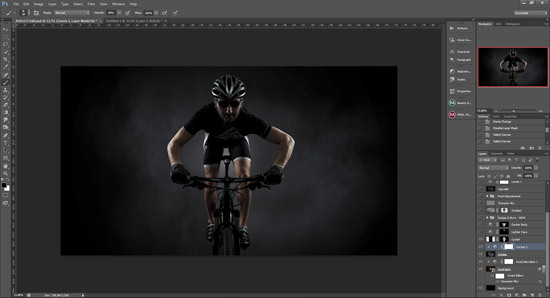 There are also lot of ways how to add spotlight I used PS plugin (Red Giant Software- knoll light factory). 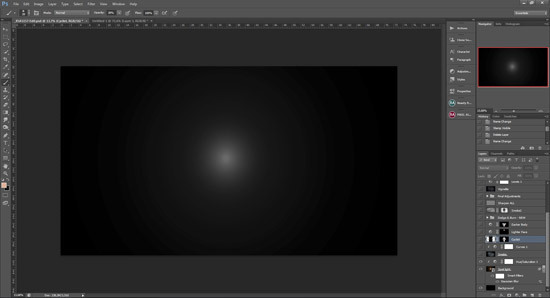 I added spotlight and desaturate it by using Hue/sat adjustment layer as clipping mask to spot light. I also converted this spotligt layer to smart object so I could edited it any time I want. For the texture I used smoke picture. 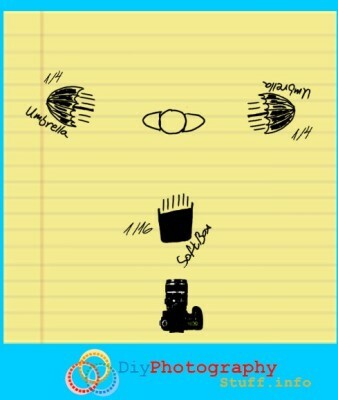 I just used picture that I found on internet. White smoke on black background. 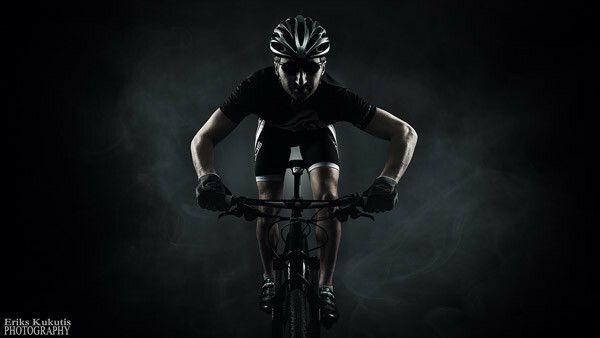 I put the smoke layer above Spotlight layer and below Cyclist layer. 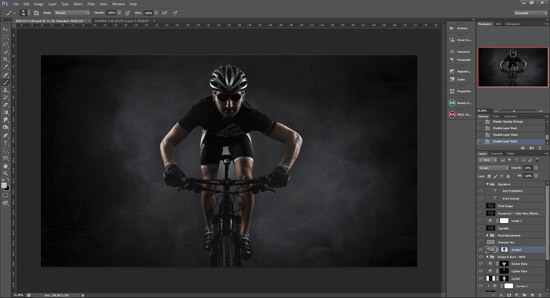 Set the layer blend mode to screen and lowered opacity to 55. 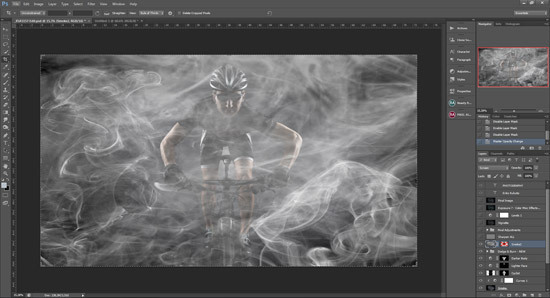 Also used Curves adjustment layer as clipping mask to make the smoke a bit darker. Next thing I done was just some minor adjustment- brightened the face a little bit and darkened the body. 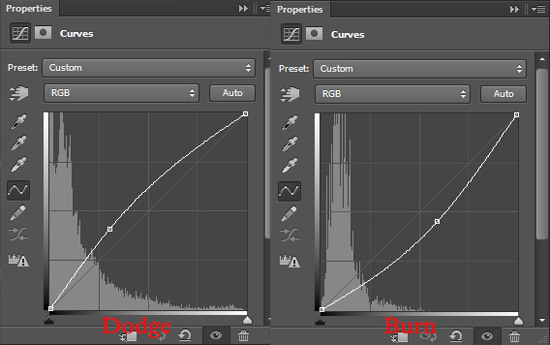 Just made two Curves adjustment layers- one brighter, one darker. 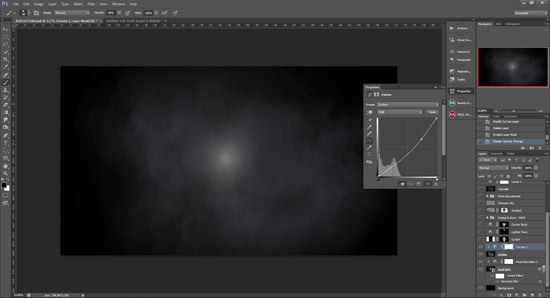 Put mask on them, inverted the mask and with soft brush on low opacity revealed the parts I wanted to be affected. Next thing Dodge and Burn. There are lot of ways how to D&B. They all wor well, but I prefer D&B with curves adjusment layers. One layer for Dodging one for Burning. It was obious too strong, so I lowered the opacity to 14% and masked out areas with soft brush the parts (face, body, around the edges) where I didn’t want this texture was visible. On this stage Iwas almost finished with my picture. I only had to make some final tweeks and adjustments. In this stage I’m starting to experiment. First I sharpened the picture (I have an action for that) The action is basicaly puting Stamp visible layer (Ctrl+Shift+Alt+E), change blend mode to overlay and put on High pass filter.